*This post is sponsored by The Home Depot. I have been compensated for my time and provided with product or payment in exchange. All opinions are my own. This post contains affiliate links. I love the look of metal and wood together, and I know I'm not alone. Not only does steel allow you to create shapes and profiles that aren't always possible with wood, I dig the clean and simple lines. 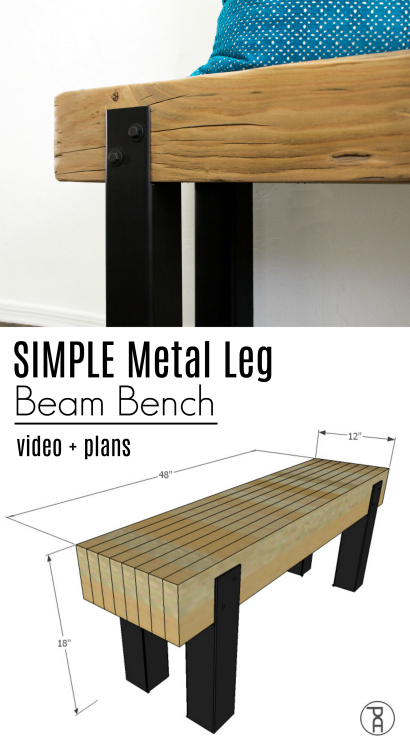 I've done a couple steel projects in the past, like Faux-Brass Leg Media Console and my Hairpin Kitchen Table. I know, I know. Working with metal sounds scary. 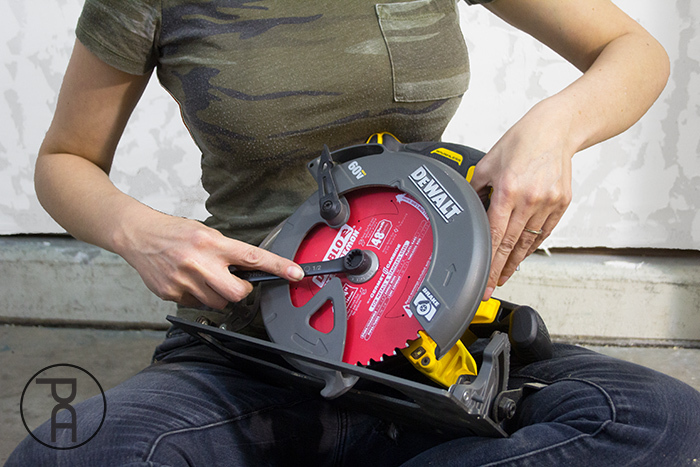 It gets hot, there's sparks, and often you need special tools. But not always! 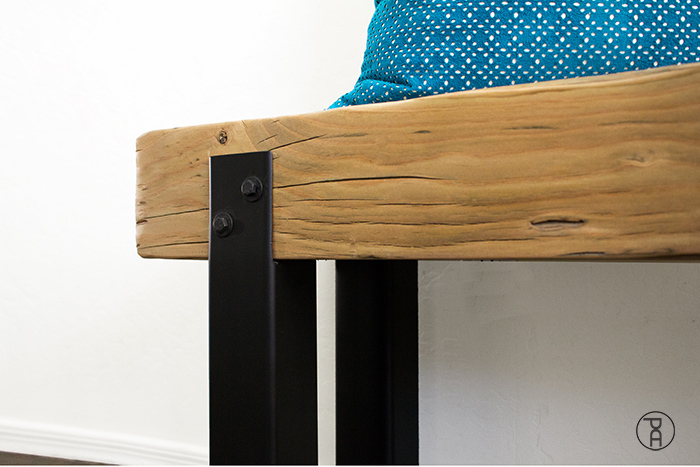 I came up with a project that a novice DIYer would have no trouble tackling. Check out the build video for all the details, or keep scrolling for the materials list, cut list, diagrams, and more information about the tools I used. 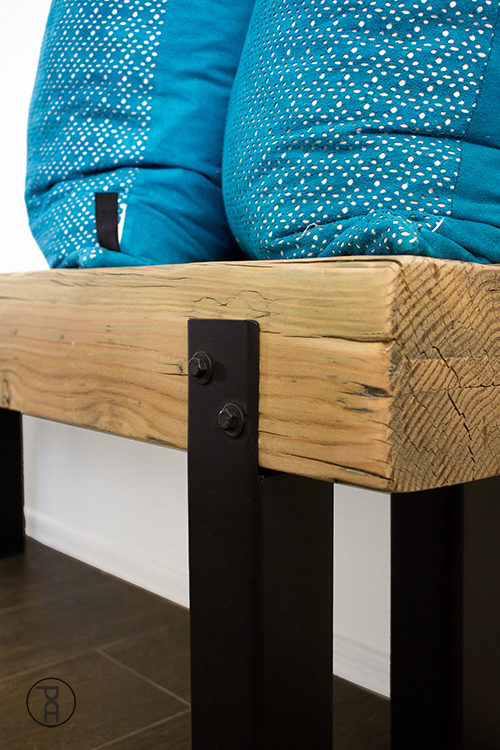 I had access to a reclaimed Douglass Fir beam (which you could likely score from your local lumber yard) but if you want something super accessible and inexpensive, you could create a DIY beam from four 2 x 6 boards laminated (glued) together. The plans below reflect the 2 x 6 version. 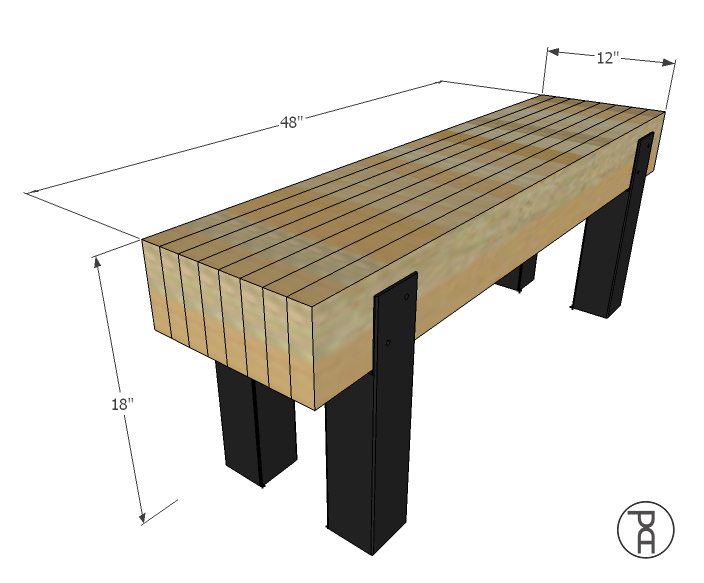 (4) 2 x 6 x 96"
(8) 2 x 6 @ 47-7/8"
Laminate (glue) eight 47-7/8", 2 x 6 boards together, face to face. Once fulled dried, surface plane if desired. Apply whatever finish you'd like. *check the video for info on the finishing hack I used on mine. 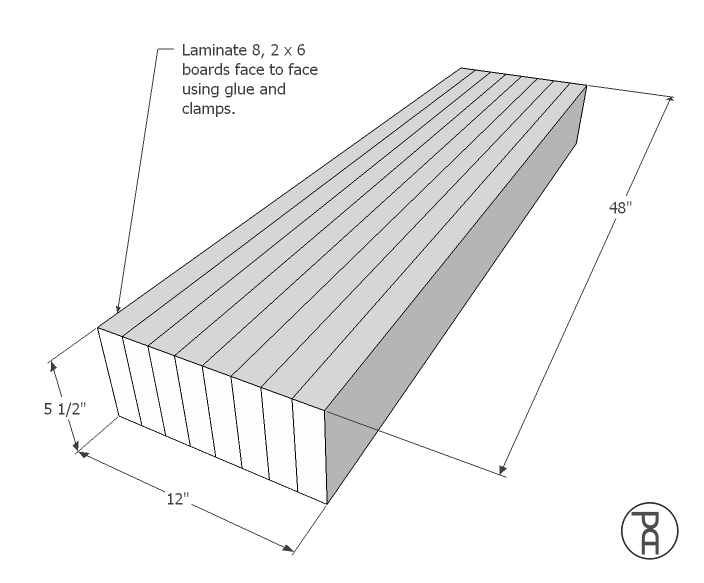 If you do manage to get your hands on a solid wood beam, you'll have to cut it down to the right dimensions, which may be a little tricky. If you need to rip down the width of the beam (too wide), a chalk line reel would be a great option. 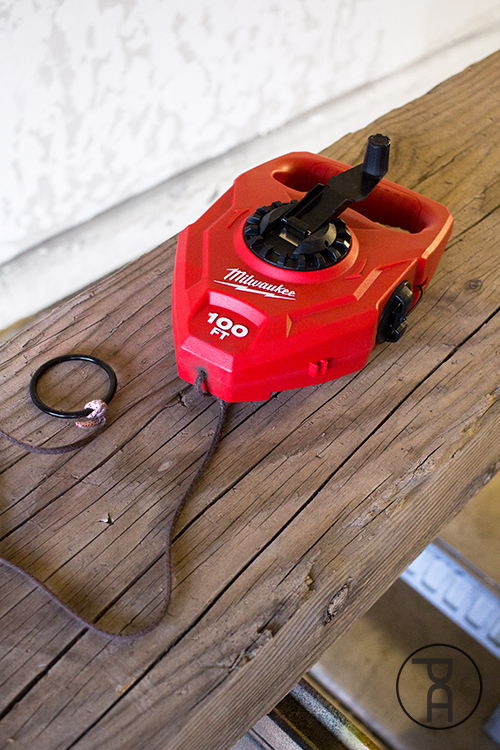 The Milwaukee 100 ft Extra Bold Large Capacity Chalk Reel was definitely overkill for this project, but it will come in very handy as we begin to build our house later this year. The beam my father-in-law (a contractor) hooked me up with was 5-1/2" thick, which meant it was too thick to cut to length with a circular saw. That was kinda a frustrating discovery, but it meant I got to test out my new Milwaukee M18 FUEL 16" Cordless Chainsaw I was sent to review. I was shocked something so powerful could run on a single 18V battery! I guess batteries have come a long way. 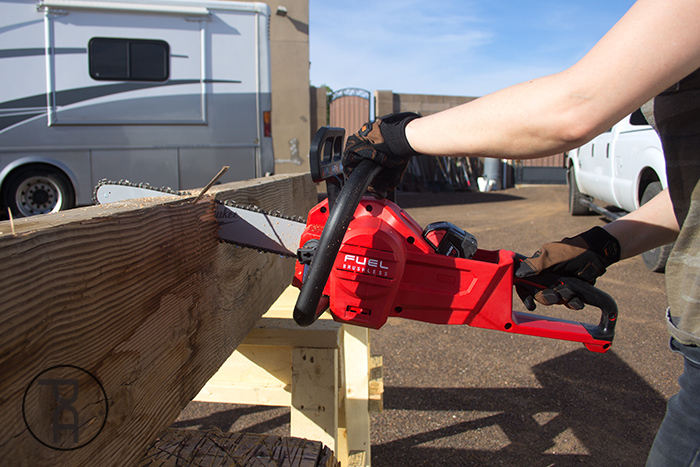 This cordless chainsaw comes with a long-lasting brushless motor and can actually cut even faster than some gas model. A great place to find shorter lengths of steel is your local retail metal supply. If you give it a Google, I promise you have one close-by (although there's a good chance it's in an industrial park). When you get there, ask for the remnant section. The odds are good you can find something that will work, even if they aren't the exact same dimensions as the tubing I used. 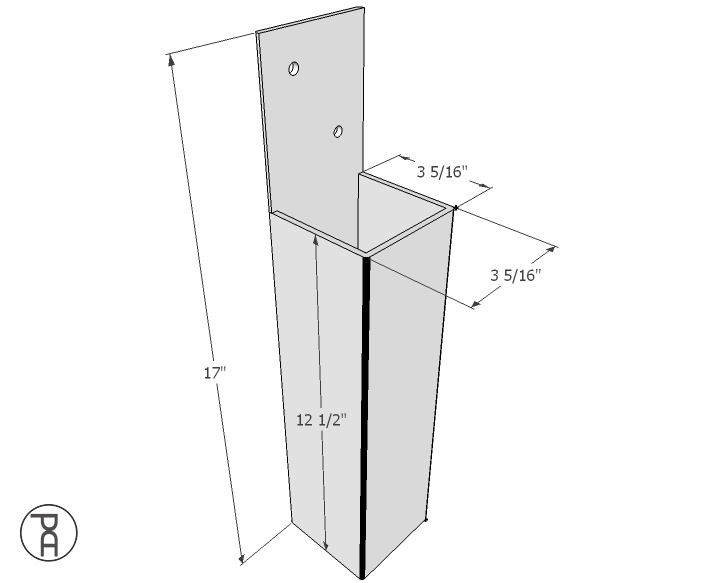 If you are using 3-1/2" square tubing, cut four 17" lengths and notch the top 3 sides, following the diagram below. I'm guessing the whole "cutting steel" part is the most intimidating for people. There are lots and lots of ways to cut steel effectively, but stayed somewhat within my comfort zone and chose to use a circular saw. The trick was, I swapped out the blade for a Diablo 7-1/4" Cermet Steel Demon Saw Blade. The Steel Demon blades are actually designed to be used with a standard circular saw and are meant for cutting ferrous metal (steel). They're pretty awesome. 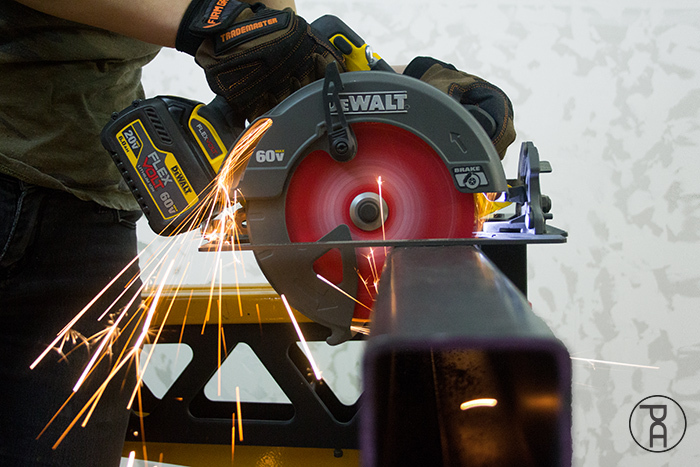 WAY better than a traditional, abrasive grinder wheel. If you are REALLY good with a circular saw you might be able to cut the notches in the top of the legs that way. I figured I need a smaller blade to be accurate and used a 6" Torch Carbide Metal Reciprocating Saw Blade from Milwaukee on my M18 HACKZALL. The short blade length made it easy to make straight cuts and the carbide teeth gave me way more cutting time than I expected. 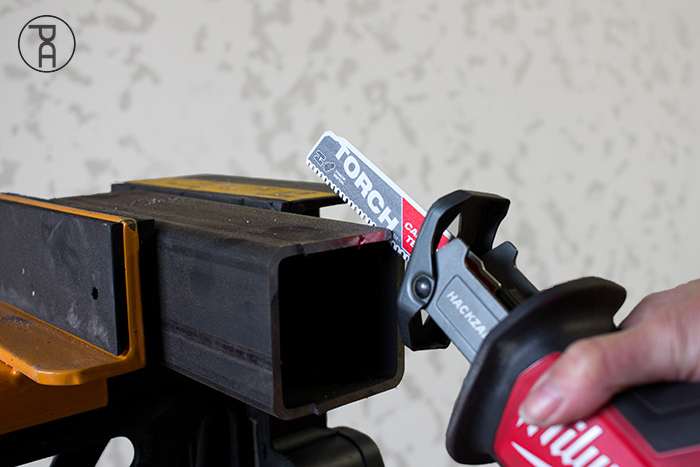 In fact, the Torch blade I used is specifically designed to cut thick metal and has 50% more carbide on the teeth than competitors. Once the legs were notched, I drilled a couple holes in the top tabs and cleaned them up. Matte black spray paint is like the "little black dress" of metal working. Everything looks good in it. 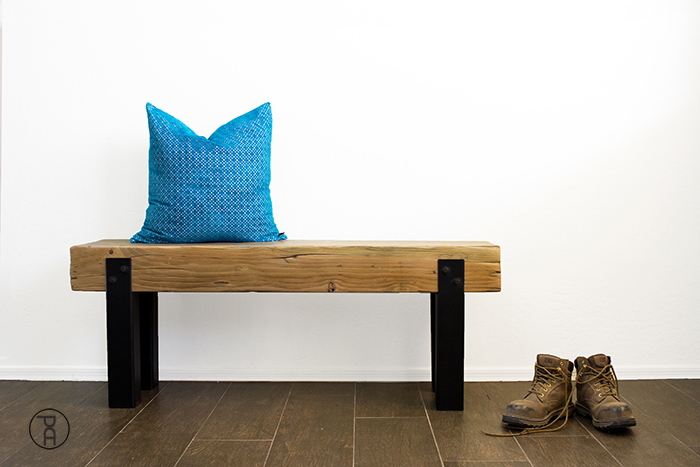 I am in LOVE with the texture of the reclaimed beam. Luckily, there are lots of fun ways to fake that if you can't get your hands on the real thing. Check out the video to see what I used to sand off the weathered surface, and help create a smooth, but textured feel. I used the same finishing trick as I did on my Stair Tread Chair. 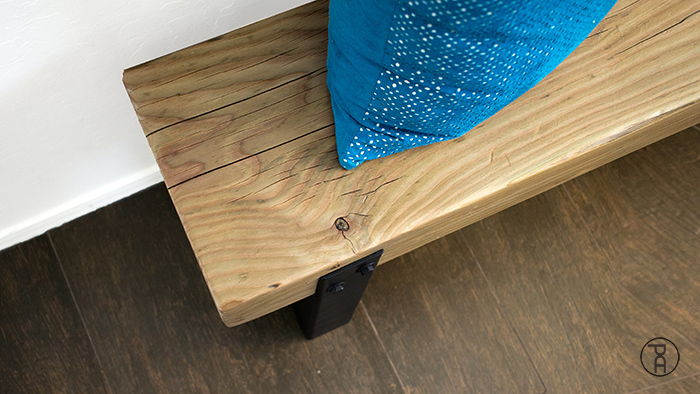 I have a feeling it's my new go-to for lighter colored woods (make sure you go check it out!). 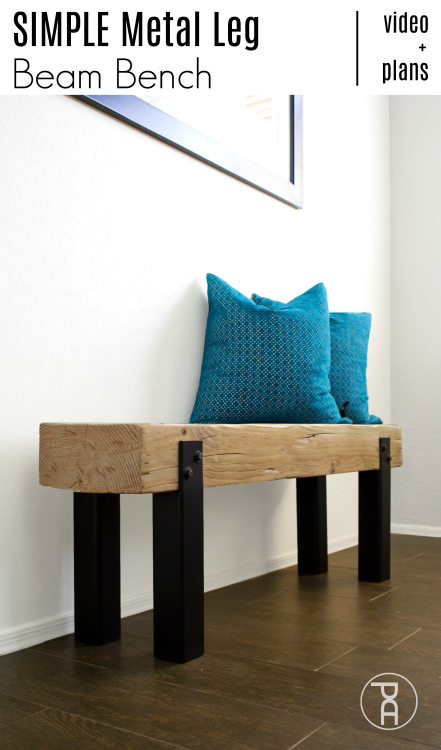 Getting comfortable working with metal opens SO MANY doors for DIY furniture and decor! I'm challenging you right now, if you've never used steel in a project before, give it a shot! Like this idea and want to save it for later? Feel free to pin the image below.